Buying your first home can be fun and exciting, and it can be stressful and trying. Sometimes it’s all of the above. Knowing what you are getting into ahead of time can not only help you better understand the process but can help you make the most of it. Knowing about beneficial programs like a finance or refinance USDA loan can even save you significantly. Here are 12 tips for the first-time home buyer. Your credit rating will have a significant impact on what you ultimately pay for your home. The interest rate you pay for a mortgage will be higher the lower your credit rating is. That is why it is important to check your credit rating as soon as you start thinking about buying your first home. Look for any errors and begin working to correct them. Do not take on any additional debt or apply for new credit cards. Make sure you continue to make all of your payments on time. Even if your credit is not perfect and even if you don’t qualify for lower rate Fannie Mae loans you may look into streamline USDA refinance or finance loans. If you meet USDA Streamline refinance guidelines you could need a lower down payment, qualify with poorer credit and even save on interest. You may not have to become an expert, but it can be extremely helpful to know the terminology used in the real estate and associated industries. You will hear words like escrow, contingency, replacement value, equity, loan to debt ratio, USDA streamline refinance comparables, Fannie Mae loans and dozens more. Taking some time to learn these terms will help the process go smoother and give you more confidence. It will also improve communication between you and your real estate agent. The market not only ranges from location to location but is strongly tied to the economy. It also can be affected seasonally. For example, fewer homes are sold in the winter than summer. Knowing if it is a buyer’s or seller’s market can give you an indication of what you may be facing in your home purchase. A buyers market is one where there are plenty of homes for sale and prices are low. In a seller’s market, available home inventory will be lower and that tends to raise prices. In a seller’s market, you may find yourself paying near or at listing price. In some markets, buyers may have to compete with one another by bidding higher than asking price for the desired home. In a buyer’s market, you have an advantage. In a seller’s market, the seller has the advantage. Buying a home can take months from the moment you decide to look for a home until you finally close on the property. There are a lot of details to take care of and a lot of parties are involved. You’ll need to find a house you like, make an offer, have the offer accepted, complete financing, obtain homeowner’s insurance, perform a title search and obtain title insurance, have a home inspection and sign document after document upon closing. This is all before you even move your first piece of furniture. While the process will take patience, you also have to be ready to make a bid on a property you like quickly, especially in a seller’s market. Waiting too long or waiting for approval from a mortgage company may cost you the home that is perfect for you. Owning a home creates more expenses than just adding mortgage payments. Without carefully budgeting ahead of time, one can become “house poor,” leaving little or no money for the other pleasures of life. Beyond mortgage payments, you will have property taxes, homeowner’s insurance, and potentially homeowner’s association fees. You will have utility payments, maintenance, home improvements and perhaps even landscaping costs. Do your due diligence and be realistic about your total budget. Although pre-qualification and pre-approval for a mortgage are often used interchangeably, there is an important difference. A pre-qualification is often an estimate of how much money you may qualify to borrow to buy a home. A pre-approval takes documentation provided in advance to a lender. A lender will then often provide you with a letter stating you have been pre-approved for a certain amount. 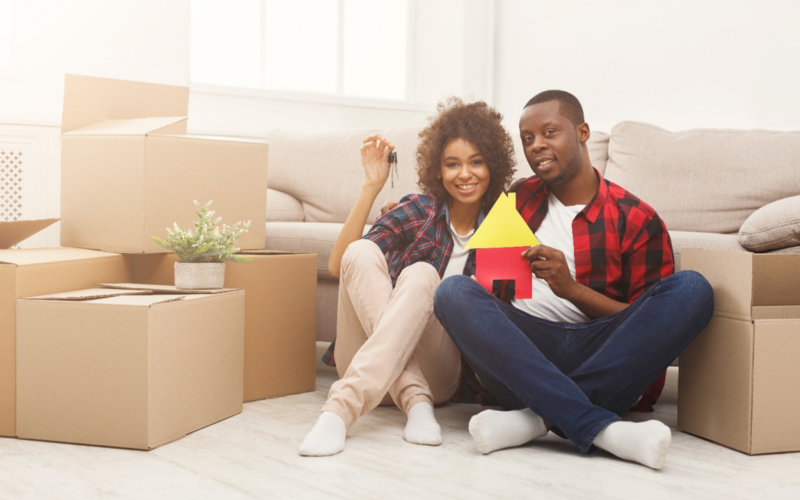 Getting pre-approved is a powerful tool for a first-time home buyer because it demonstrates to any agent involved you are serious about purchasing a home. It also carries weight with sellers when considering multiple offers. A pre-approved offer is more tempting to accept, knowing financing has all but been secured. Pre-approval is invaluable in helping to create a realistic budget as well. When getting a loan look at all of your options find out if you qualify for programs like the USDA Streamline refinance program. A first-time home buyer can benefit tremendously from the assistance of a real estate professional. You should first know that a real estate buyer’s agent does not cost you a single penny. Their fees are paid for by the seller. If you don’t secure your own buyer’s agent, you may end up working with the agent who listed the home, who is committed to work in the best interests of the seller. A buyer’s agent works for you. It helps to be upfront about your budget and your desires with your buyer’s agent. They can help answer your questions, arrange in-person previews and walk you through the process. They can guide you in how to frame any bids. It is helpful to sit down and consider exactly what your new home needs to have. It is just as important to think about what would be a deal breaker. Consider things like location, number of bedrooms, size of the yard, size of a garage, fencing and more. Be clear on whether you want a home that is move-in ready, a fixer-upper or something in between. Your lender will require you to obtain homeowner’s insurance to ensure their interests are protected in the event of a loss. Many times a lender or real estate agent may “suggest” an agent or insurance company to use. You have every right to choose your own insurance agent and provider and in fact, it is important to so to compare rates. While it may be convenient to include insurance payments in your monthly mortgage payment it may not be necessary to do so. While many homeowners will work hard at saving a few thousand dollars when placing a bid on a house, much more money can be at stake when choosing a mortgage company. Even a half-of-one-percent difference in mortgage rates can make thousands if not tens of thousands of dollars in the difference you may pay over the life of a loan. Compare interest rates before choosing a mortgage broker. Check USDA streamline refinance guidelines to see if you and the property qualify for a finance or refinance USDA loan. A home inspector is a professional who will take a close look at your prospective home and provide a report on all the areas of concern. They will look at the roof, electrical, plumbing and note any water damage and possible mold. This often results in important information that a potential buyer may not have been aware of. Armed with this data, financial considerations can be negotiated into any bid. There can be allowances made for repairs or a request submitted for the repair of a problem in advance of closing. A home inspection may cost several hundred dollars but can more than pay for itself. First time home buyers can get so focused on a house they forget about that they will also be living in a neighborhood. Is the neighborhood convenient to work? Shopping? Entertainment? Is it close to schools or public parks? Are the neighbors older or are there lots of children? An often forgotten aspect about neighborhoods is how it will likely look in five years. Are there any zoning changes planned or new developments scheduled for the area? In most cases, your buyer’s agent can be very helpful in learning more about the area you are considering moving into. If you are moving into a rural area see if you qualify for a USDA Streamline refinance program. Much of the stress involved in buying a first home comes from not knowing what to expect and concerns about financing. These can be eased by getting the assistance of a buyer’s agent and getting pre-approved for a mortgage. Learn the terminology and as much as you can about the area you are considering moving into. Learn about beneficial loan programs like Fannie Mae and Streamline USDA refinance and finance loans. When properly prepared and armed with pre-approved financing, you can approach the home buying process with confidence.